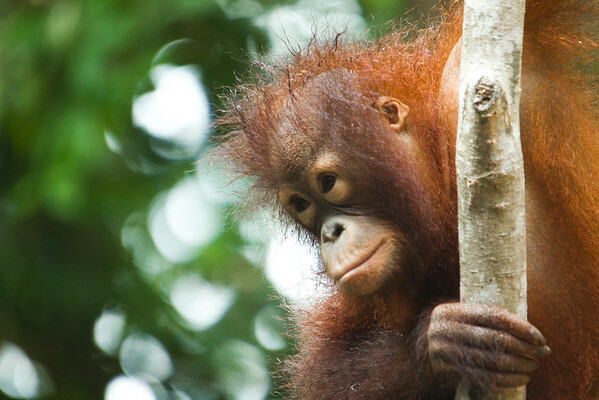 Occasionally orangutans are found as pets and rescued by the Sabah Wildlife Department. They often have stereotypies that need to be unlearnt before they can be released back to the wild. All print proceeds go to the Sepilok Orangutan Appeal.